Courtesy of Genet T Lulu, Fairfax Realty Select. Come and see this beautiful home, It’s all here! 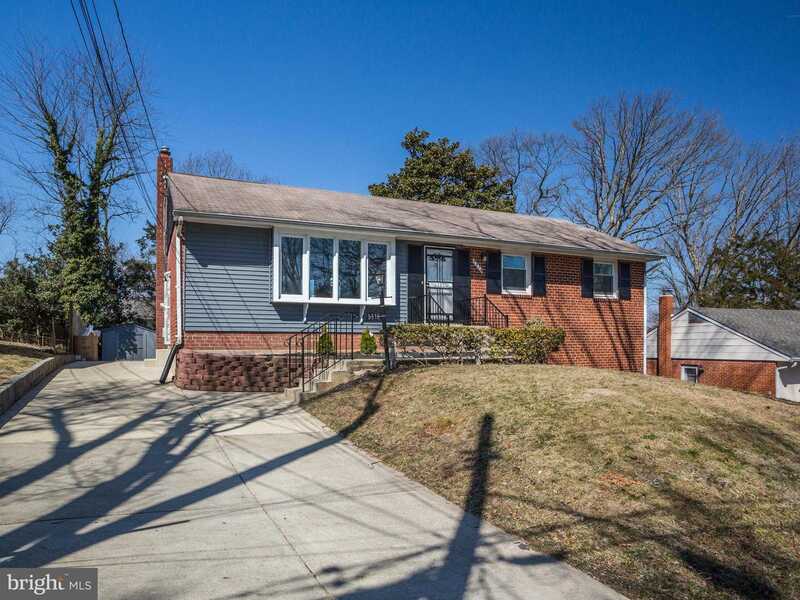 Freshly updated home located in the heart of New~ Carrollton, Walk into the gourmet kitchen on main level with shiny new stainless steel appliances, granite counters and plenty of storage. Access to wrap-around deck right off kitchen lets you enjoy your morning coffee or afternoon tea. Wide open back yard allows plenty of space for relaxing, playing, gardening, and storage shed. Beautiful new wood flooring through main level shows off the main level living options. welcomes you as you walk into the home. Living, dining, provides plenty of options on the main level. Bright and sunny throughout the home means there’s great lighting. main level bedroom with easy access to the bedroom upper level. 3 bedrooms and, Brand new 2 full bathrooms, Complete with custom tile work, great lighting and new vanities. ~ All bedrooms have closet. Specially the finished basement has Three Room with laundry room, updated full bathroom, Stop by to see this beautiful of a home, located just off Annapolis Rd, a short distance to Public Library, restaurants, shops, public services, mass transit bus lines, close to New Carrollton Train Station Less than 2 miles to 495, less than 2mil to 50,..less than 10 miles to DC,. Don’t wait to see this!